Even acryllic isn't free. A nice premade generic enclosure is for both together or separate is at least $20 (and a long time searching and laying out and probably not free shipping), fans are a couple of a bucks. Switches, crimp connectors, binding posts, heat shrink, all add up too. I wouldn't exactly say for $110 you can get two. I would say for $110 AND a significant amount of scavenging and or purchasing accessories at additional cost, and time, you can get 2. Even if the time is free, I think it's hard to come in under $70 to buy all parts new to make up a nice single enclosure that has it all. I have one of those. You can see a picture of it in Post 25. They might have a slightly lower price at Circuit Specialists' website. Mine has too much ripple and is useless for testing LVP in drivers. I have used it to charge car batteries and such. I believe Tom E got one too and quit using it because it kept blowing emitters, if I recall correctly. You have to be very, very careful and slow adjusting voltage and current. I find it hard to control output adjustments and go painfully slow when doing so. I think the analog POT's and the large cap it has on it's output combined make it that way. A nice looking boost/buck unit! Original post date: Sun, 09/18/2016 - 11:53; edited for missing picture removal. Even acryllic isn’t free. A nice premade generic enclosure is for both together or separate is at least $20 (and a long time searching and laying out and probably not free shipping), fans are a couple of a bucks. Switches, crimp connectors, binding posts, heat shrink, all add up too. I wouldn’t exactly say for $110 you can get two. I would say for $110 AND a significant amount of scavenging and or purchasing accessories at additional cost, and time, you can get 2. Even if the time is free, I think it’s hard to come in under $70 to buy all parts new to make up a nice single enclosure that has it all. The case is optional, and doesn’t need to be made out of acrylic. Although a sheet large enough for it is all of $3 at home depot if you did do that. You could mount it in a shoe box, a wood box or a hundred other ways if you desired. I have one mounted in an ATX power supply, heck you can get an old power supply and gut it and mount it in there. It would already have the fans included and cost you about $5 at most. You can easily get out the door for less then $60 on one of these if you just want it to work. Total comes out to $55 or less. That is about exactly what I have in mine, you can naturally get more expensive if you desire but that is optional. 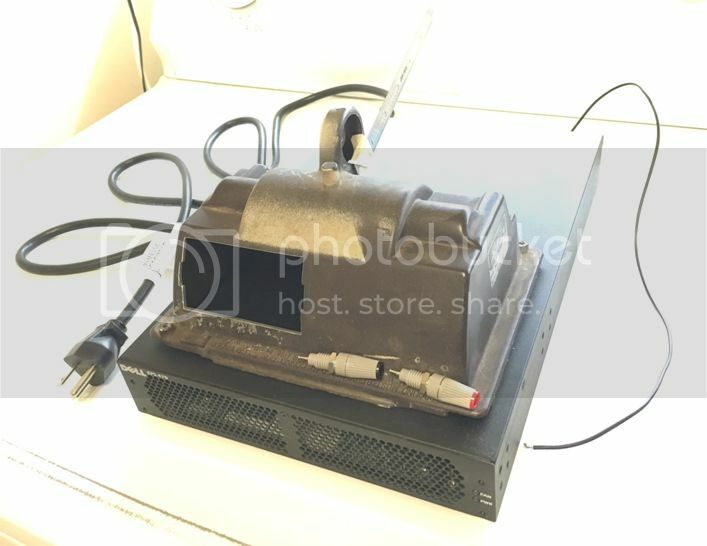 A better power supply for it would be a good idea but if you are only using it for LED’s then an ATX power supply will allow you to work with everything except XHP35’s and those can be had all day long for less than $5 for local thrift stores/computer repair stores/scrap places/craigslist ect. Heck get 2 ATX power supplies and use one as the case to mount it in (or get a smaller version and mount it directly in the ATX case like I did). It does cost some time but if someone’s time is worth more than that, well naturally there are lots of options for pre-made units at a significant price premium. Like was said though, the cheap pre-made power supplies are infamous for their ripple voltage and cheap construction. Some of them have ripple as much as 10%. I have no problems with someone buying a pre-made bench power supply, if I had the money I would totally do the same. To get something I would trust with these specs though would cost upwards of $200. I am willing to risk $35 on a china power supply but $100+ is a bit rich for my blood. If one integrates the A/C power supply into the same enclosure, a separate fan shouldn’t be necessary. I ordered and received this case from banggood. It’s definitely worth the $10. The dps5015 only takes up half the space so I also ordered a four port usb output with 36v input and current measurement. Now I have a the dps5015 with 4× 3amp usb outputs with capacity measurement to power some of my battery chargers. I haven’t got it all together yet but I’m very excited about it! 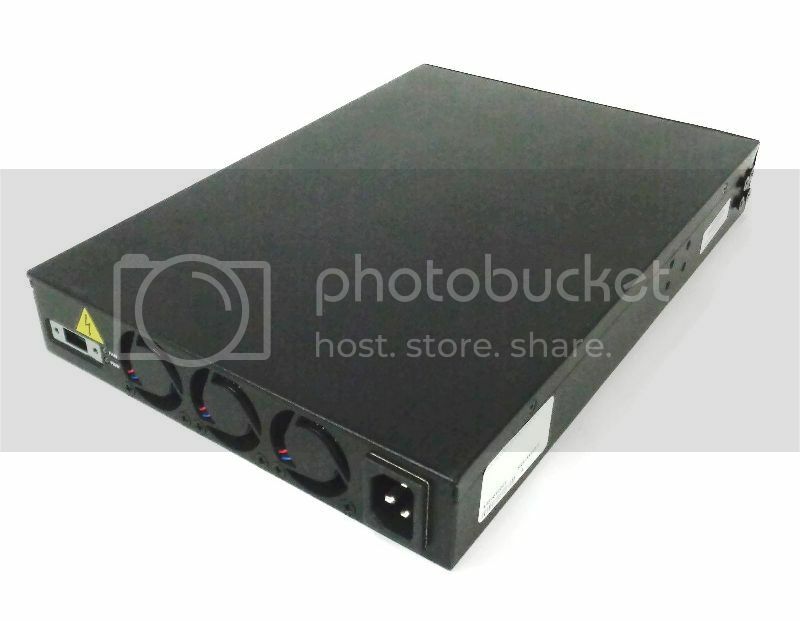 I am planning to build a DPS5015 buck controlled power supply utilizing this DELL external switcher power supply. It supplies 48VDC and 9.6A. The ESP-470 was purchased on flEbay for $25. Very nice, I am thinking about doing much the same thing. In fact if anyone wants to buy my current DPS3012 setup, complete with acrylic case and power supply, let me know. I would sell it as setup for $60 + shipping. That's a nice looking Dell supply. I saw the same case as the Banggod one. It's certainly big enough for the DSP, but not a DSP and a supply. I'll probably separate the two for now. It's darn hard to find a case big enough to house that ebay supply and the DPS. Even itx cases won't do it. That ebay supply is long, but it's a bunch of watts. That’s a nice looking Dell supply. I saw the same case as the Banggod one. It’s certainly big enough for the DSP, but not a DSP and a supply. I’ll probably separate the two for now. It’s darn hard to find a case big enough to house that ebay supply and the DPS. Even itx cases won’t do it. That ebay supply is long, but it’s a bunch of watts. I was actually kinda curious to add up the costs myself since I am considering selling mine. So that post was only indirectly directed at you. I would not bother with combining the power supply and the DPS in the same case myself unless you need to for other reasons. I found that to be too much of a pain. So I put the power supply under the desk and run the wires up to the DPS, makes for a lot less desk space used which is of far more value to me then under the desk. So far it has worked flawlessly like this, going on what, 3 months? Now I also am not drawing super high wattage on the things I use it for, at most it is around 100 watts thus far. Just don’t have anything that needs more then that at the moment. This is my Power Supply plan (based on what parts I find). The utility box is an old 150W flood light housing. It will be screwed to the DELL Power Supply and the DPS5015 placed inside . I was going to cut off the light mounting bracket boss on top, but currently plan to use it as a smoke stack and mount a handle to it. Please don’t laugh! Hey, as long as it works thats all that matters, it is cheap and should work just fine. I have one of these 48V 400W power supplies from playing with class D audio amps I was planing on using with mine. The stock voltage pot can adjust it between 33-53V you can internal mod it up to 60V as seem here. A helpful word of advice on these inexpensive switch mode supplies is they have a side switch to select between 110-220VAC input. They come set to 220V and will operate unreliably on 110V when set to 220. Several times I thought I had a defective power supply until I figured out this problem. Has anyone had a scope on the output? My little supply is not quite stable enough to test LVP on a driver. I am considering one of these, will it do it? Well, there may be wiiise reasons for those supplies to come preset at “220V”. Yes, I have put both of mine on my scope, now my scope is a cheap unit that only reads up to 2mhz IIRC but it showed zero ripple down the finest resolution it offered. Hey TA, you mentioned using these for charging. Do they have a charge curve for Lithium cells or do you manually adjust the charge or? … you mentioned using these for charging. Do they have a charge curve for Lithium cells or do you manually adjust the charge or? Adjust the current output (CC) to the desired value: charging speed. Adjust the output voltage (CV) to the desired value: end-of-charge cell voltage. If available, adjust the % of end voltage current flow. Man… Thanks! I don’t know why I didn’t know this. I always assumed the charger needed a charge curve to match lithium chemistry. So when set to cc will it charge at the set current til the end voltage is reached? Man... Thanks! I don't know why I didn't know this. I always assumed the charger needed a charge curve to match lithium chemistry. So when set to cc will it charge at the set current til the end voltage is reached? Exactly. Once the end voltage is reached, current flow starts diminishing, describing a sort of reverse exponential curve. If present, the end-of-charge light/led lights up once the current flow goes down to the trimpot selected % value of the charging current. Yep, like said above, simply set the voltage to 4.2v (I like 4.18-4.19v personally), then set the current to whatever you need for that battery. Connect it to the battery in the correct polarity and let it go. Have you got this power supply working yet? how do you turn it on? Some server power supplies are a real pain to figure out the turn on wire/signal. If you have figured out how to get this one to turn on and working I think I might have to upgrade before long to the 5015. The power supply works great with the DPS5015. To turn it on, just plug in the power cord. There are only three output pins (left side in picture below). The right most pin next to the fan is negative (not grounded to case), the center pin is 48vdc positive, and the left most pin is unknown to me (2vdc positive). There are two led indicators (labeled Fan & Power). Plug in power cord and they both light up green. I removed the cover and unplugged one fan to check voltage (it was around 8vdc) and the fan led turned to amber while the 1 of 3 fans was unplugged. Returned to green when reattached. Thanks, thats what I was wanting to know! Now to sell my 3012 so I can upgrade lol. Since the EPS-470 is designed for load sharing and only uses three pins to connect to the Powerservers, that left most pin should be for load sharing. Would be nice to know if EPS-470's can be connected in parallel and the left pins connected to each other would share the load equally. Two units should be enough to fully power the 5015 current wise. I did some Googling, but had no luck finding an answer. Since the EPS-470 is designed for load sharing and only uses three pins to connect to the Powerservers, that left most pin should be for load sharing. Would be nice to know if EPS-470’s can be connected in parallel and the left pins connected to each other would share the load equally. Two units should be enough to fully power the 5015 current wise. I did some Googling, but had no luck finding an answer. Good question, if you find the answer be sure to let us know. Although unless you will be using the full 15 amps at the full 50V, you can still use 15 amps from the DPS. For LED’s 15 amps and 4.2v output would only pull around about ~1.25 amps from a 48v input power supply. I am powering my 3012 from a 3 amp 48v power supply (set to 36v). I regularly put out 12 amps and it handles it fine but I also generally don’t use more then 60-70 watts at most, so since the power supply is a 150w power supply it handles that no problem. I am sure you already know this, just making sure everyone else knows. Installing a Dell EPS-470 extended power supply into your Dell PowerConnect switch is a breeze. The EPS-470 installs through a simple power cord and connecting power cable. The power cable runs from the back of the EPS-470 into the power port in your Dell PowerConnect 3448P or 3548P. 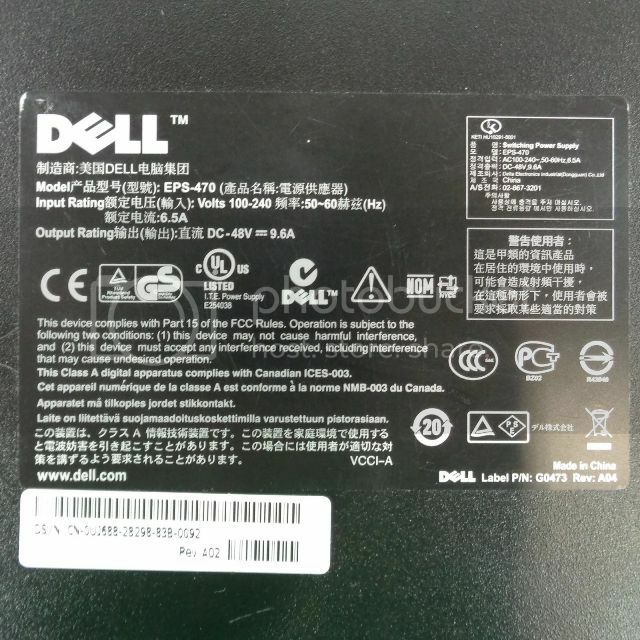 Below are photos of the power ports on the EPS-470 and Dell PowerConnect 3548P. They show where the connecting cables install. In addition to being able to install EPS-470 power supplies through this port on PoE switches, the Dell 3524 and 3524 (non-PoE) can have a Dell RPS-600 power supply installed. If installed properly, the LEDs on the power supply will illuminate to alert users to the fact the power supply is sharing power. The EPS-470 works by load balancing with the Dell switch’s power supply. It’s just 3 pins, and I have successfully identified the +/- ones, what is the third one for? I’d like to power the switch from -48V DC telecom battery backup instead of the original EPS-470, and it works but I can’t get redundant power (both AC and DC at the same time) to work properly, I can hear a relay inside click very often (which may not be good for the hardware, so I don’t leave it running in this condition for a long time). Has anyone reverse-engineered it already? Middle pin is positive, the pin closer to the AC input is negative, and the third pin is not earth ground for sure. Left open, it’s about 2.5V above the -48V DC rail. So it may be some kind of logic input or output (or even an analog signal for some kind of load sharing?) between the switch internal PSU and the EPS-470. I know what I ask is not officially supported, I’m prepared to void the (already expired) warranty, I’m an electronics engineer, aware of electrical safety issues etc. I’m doing some network design (which includes racks and PDUs. In several cases, I need an EPS-470 power supply to provide PoE to all 48 ports on a PowerConnect switch. I need to know, do I need one outlet for the switch and one for the EPS-470, or after the switch is hooked into the EPS-470 do I just need power hooked into that? I just need to know whether I need one or two outlets so I plan accordingly for the PDUs. The EPS-470 adds additional power, so you need two, one for the switch and one for the EPS. 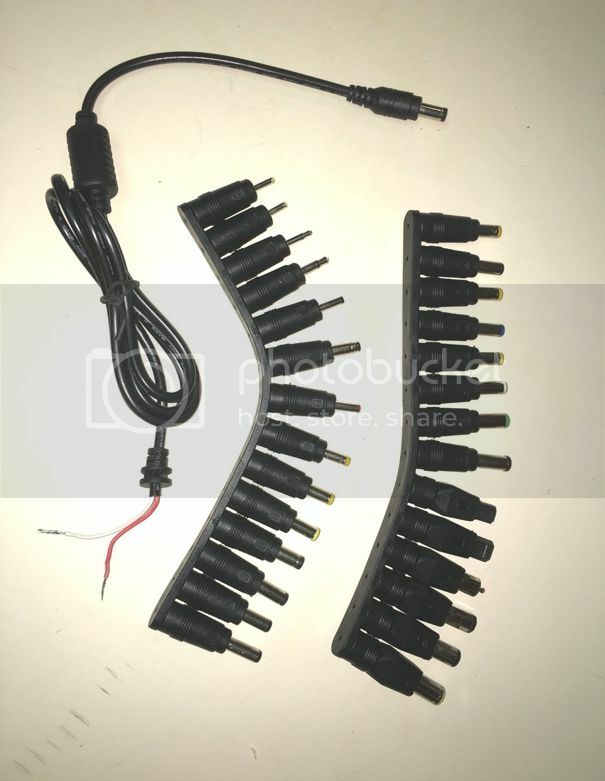 Here is a 29 in 1 Connector Set I just received today. I was a little surprised to see the wire lead was 18ga. This is to be added to my DPS5015/EPS-470 power supply project. Set was purchased from Ebay. “29 in 1 Universal AC DC Jack Charger Connector plug Cable for Laptop Notebook” $14. Nice posts whopist. Are you thinking the EPS-470's can be paralleled with load sharing using that third pin you mentioned? That set looks real handy. No linky?